“If other schools are using these same polls to declare a national championship, we should at least consider it,” Auburn athletics director Jay Jacobs said. “I don’t think there’s a better time for the Auburn family to consider it than right here at the end of the BCS era. The 1910, 1913, 1914, 1958, 1983, 1993 and 2004 teams are all under consideration. Each finished undefeated or won the conference championship, or both. All were recognized as national champions by at least one national selector, which are used by other schools to recognize National Championships. Now, Auburn wouldn’t be the first school to claim additional titles from the distant past. Far from it. The leader in retroactive championships is Princeton, which has claimed 28 football titles, including the first in 1869. Many of those retro-crowns were awarded to Princeton by Parke Davis, a prominent college football researcher in the early part of the 20th century. As it happens, Davis was a former player at Princeton. He was a member of the 1889 squad that he would later anoint as national champions (Davis did that in 1932). Davis was also at one time the head football coach at Lafayette. In 1896, he led the Leopards to an undefeated season, with one tie. That tie came against Princeton. Both teams finished without a loss, and Davis awarded each a share of the 1896 crown, thirty-six years after the fact. 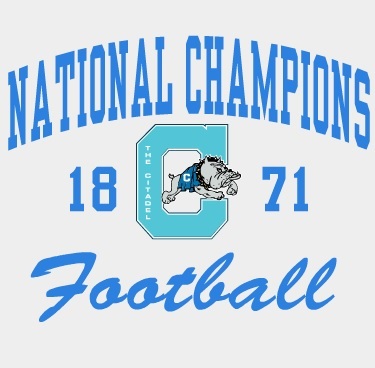 This kerfuffle about championships reminded me again how The Citadel has always been low-key about its own national football championship, which came in 1871. What is unusual about The Citadel’s national crown is that it is essentially undisputed. While up to five schools have claimed championships for certain seasons, no other school to my knowledge has attempted to claim the 1871 title. This is probably due to the painstaking research and mathematical calculations that were made by the determining selector for that season (for the uninitiated, “selector” refers to the pollsters/analysts determining the champion). The Citadel was awarded the 1871 national championship by the TSA Matrix Ratings System. It is hard to argue that the military college doesn’t deserve at least a share of the title. No points were scored against The Citadel on the gridiron during the entire 1871 season, a rare accomplishment in college football. The fact no other school has even tried to shoehorn its way into the 1871 championship discussion speaks volumes about the validity of The Citadel’s claim. The TSA Matrix Ratings System, showing an admirable attention to detail, actually determined a top 5 for the 1871 campaign. The Citadel was followed in the algorithm by 2nd-ranked Princeton; 3rd-ranked Rutgers; 4th-ranked Columbia; and 5th-ranked Stevens Tech. 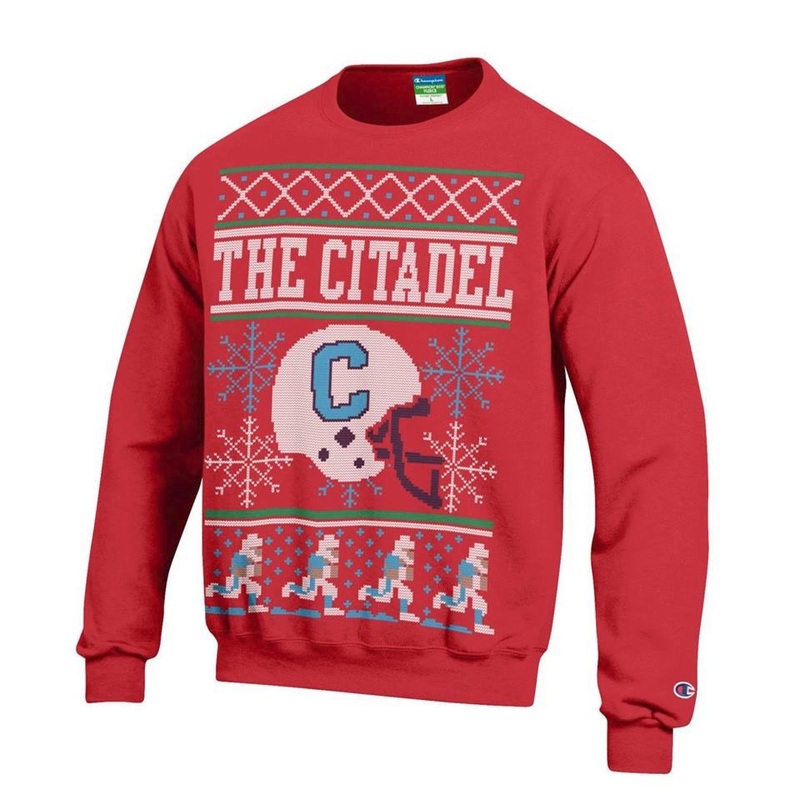 The Citadel is the only southern school to have established a claim for a national football crown in the 19th century. The next earliest title claim for a school south of the Mason-Dixon line is that of LSU, for the 1908 championship. The Citadel also has the earliest claim for a national title by a military college. Army did not enter the championship picture until 1914, while Navy’s sole claim to a crown came in 1926. It is a little disappointing that The Citadel’s on-campus bookstore doesn’t sell national championship memorabilia for the 1871 season. I would love to have a ’71 championship mug, for example. I think a handsome profit could be made for going “retro” with some offerings, not just for the 1871 title, but for things like The Citadel’s trip to the College World Series in 1990. You can’t tell me people wouldn’t buy t-shirts commemorating the Bulldogs’ run to Omaha. With college football moving to a playoff at the FBS level, there will be a dramatic reduction in disputes surrounding the “true” major-college national champion. For those who believe in decisiveness and closure, this is a good thing. However, there is surely something lost in the transition. The unknown provides a certain romance. There is something charming about the notion that almost any school with an argument, no matter how dubious or whimsical, can make a claim to being the best in a given year. We were not open in 1871, were we? How is this possible ? The Citadel was occupied by Federal troops during this time and did not reopen until the 1880s. This is pretty cool though!